Various studies have examined the subject of drug abuse among physicians and have shown that, in general, the rate of illicit drug use is less among doctors than the general public. The rate of abuse of prescription drugs however is considerably greater for physicians, up to five times higher than in the general population. 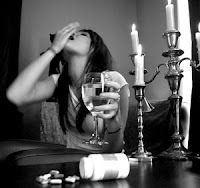 Up to 15 percent of all health care professionals will battle substance abuse at some point in their careers. Is this due to stress? Overwork? Easy access to addictive substances? Historically, physicians have experienced a high rate of drug abuse and drug addiction. With the increased use of medical cocaine in the late 1800s, physicians were thought to constitute 30 percent of all cocaine users. The problem of abuse among physicians was well recognized. 'A man who is his own lawyer, has a fool for a client'. This same line of thought was most pertinent to the medical field where cocaine used by physicians was usually self-prescribed. In the nineteenth century, there was no formal process by which new drugs were investigated and doctors often simply experimented on themselves. 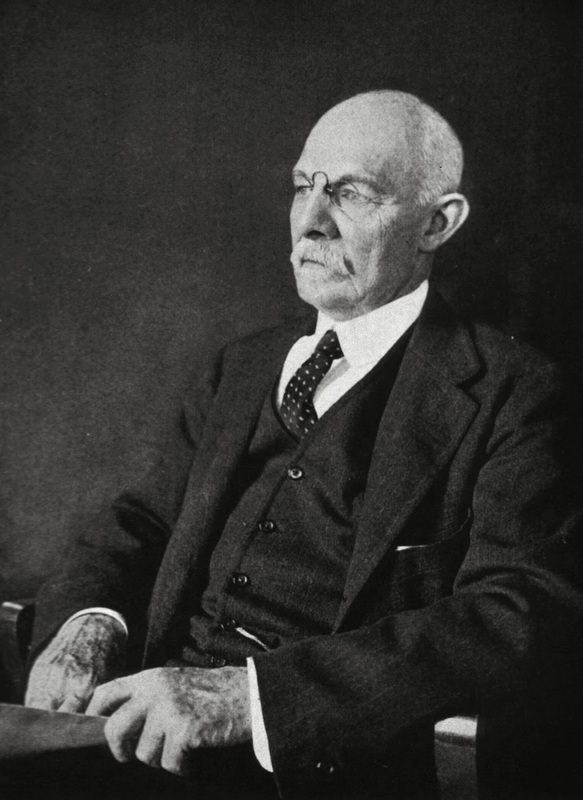 The renowned and well-respected physician William Halsted, along with several of his colleagues, became cocaine abusers while assessing this new drug, cocaine. Halsted was able to recognize his addiction and 'cured' himself of the cocaine habit by shifting to the use of morphine instead. He continued on, able to handle his morphine addiction more easily than the cocaine addiction, achieving a notable career in American surgery. But in the field of medicine, there is one speciality that is especially prone to substance abuse and it is abuse of the most powerful, dangerous and addictive substances known. The speciality field is anesthesia (the specialists who put you to sleep for surgery) and the substances most commonly abused are narcotics (morphine and its derivatives). Needless to say, anesthesia can be a very stressful job. Knowing what type of medication is needed, how much is needed and during what point in the surgery it should be administered are all important factors that can determine life, significant brain injury or even death. No patient is the same. There are no 'recipes' for drugs except according to weight, age, cardiac condition, kidney condition, drugs the patient already is taking...The list goes on and on. 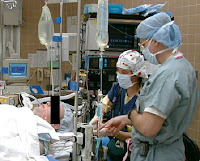 Anesthesia is similar to piloting a large aircraft (but without any auto-pilot or computer to back you up): a period of boredom (hopefully) while the patient is safely anesthetized (the aircraft is in flight) with a period of 'terror' at the beginning (take-off), as the patient is put to sleep and another period of 'terror' at the end (landing), as the patient is brought out of anesthesia. But with all these powerful drugs at hand (barbiturates are also commonly abused by anesthetists) and all the stress of the job, it is perhaps surprising that more of these specialists don't become addicts. Although anesthetists make up only 3 percent of all specialists, this group accounts for 20 to 30 percent of drug-addicted doctors. Several organisations recognize the problem of addiction among physicians and realize that certain groups, such as anesthetists, are more susceptible to this problem. Despite campaigns as well as teaching of the risks of addiction early in medical training, the difficulty with substance abuse among doctors remains a problem. In the operating room, anesthetists usually wear short sleeves. The needle tracks of injection sites would be difficult to hide but these specialists are not just experts at putting a patient to sleep. They are also experts at finding and accessing veins for drug administration - between the toes, on the leg or the inside of the thigh. Drug addiction is an 'occupational hazard' among this group of physicians but a hazard that can have catastrophic effects for the patient under care. Is an anesthetist on drugs (The 'High' Doctor) still capable of performing his/her work? 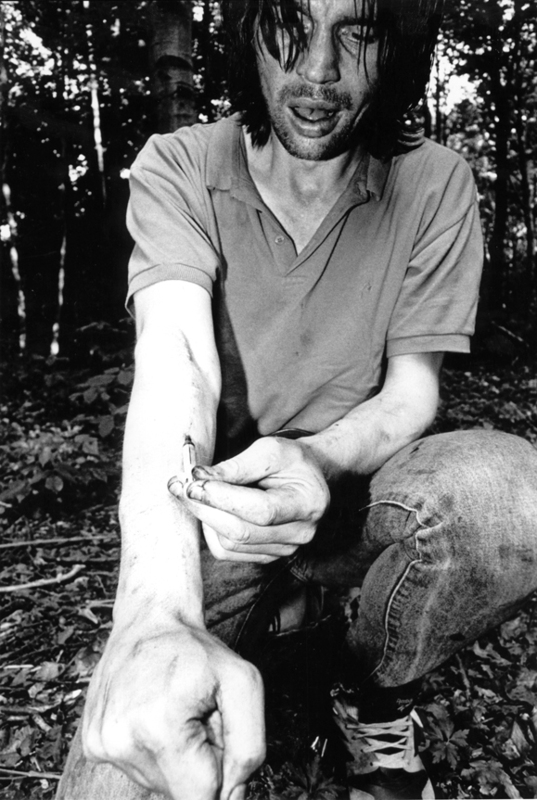 That depends on whether the addict has become tolerant to his 'drug of choice', when he took it, the type and sub class of drug used...This list goes on and on, too. But the short answer is 'No'. No physician, dependent on drugs is safe to 'pilot the airplane'. His response time and ability to make a decision may be unreliable. His judgement may be impaired. And even when giving a drug to himself, does the doctor, at that point, really know what drug he has just taken? Drugs in the operating room are administered by vein, many do not contain preservatives, the vast majority have no color. In the bottle and in the syringe (except for the labelling, if it is done correctly), they all look the same. They all look like water. What follows is a true story: He was a young man (J.R. - not his real identity), a specialist in anesthesia, out of training no more than 5 years. The patients who met him, loved him and had great confidence in his skills. The surgeons and nurses knew him well (or so they believed). J.R.' s behaviour seemed normal. At times, however, he would be very talkative, at other times, there was only silence behind the curtain of sterile sheets that separated the surgery from the head of the table where the patient lay. At the end of one very long week, J.R. 'disappeared' before his patient was transferred to the recovery room (an unusual event in the practice of anesthesia) and no body knew where he was. Just by chance, one of the nursing staff, searching for a mop in a closet, found J.R, still breathing, slumped in a corner, a needle in his arm. 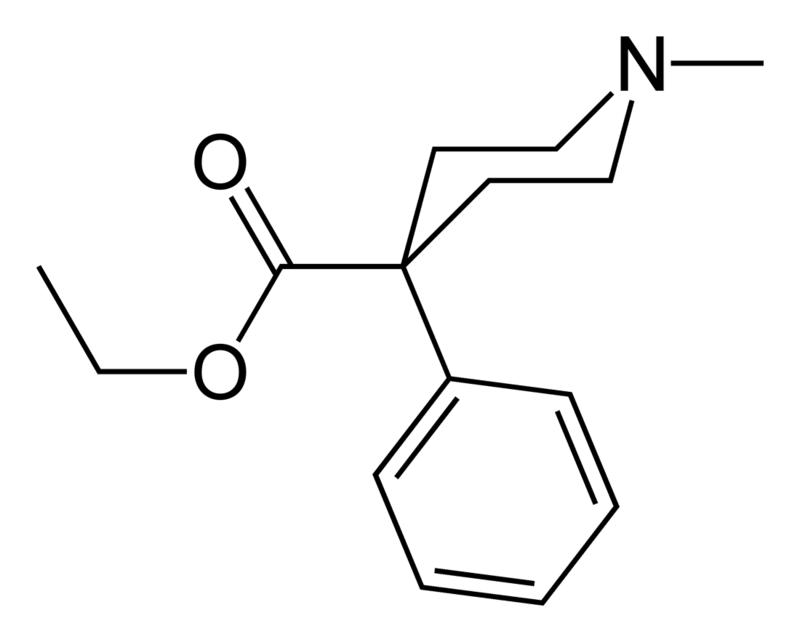 J.R., medical expert, knowledgeable of all the risks and possible complications inherent in anesthetic drugs, had mistaken his substance of choice (fentanyl, a narcotic - see post: A Basketful of Narcotics) with a paralysing agent (pancuronium). Immediately upon injecting the wrong agent, J.R. realised that he had made a mistake but it was too late. The paralysis seized his body and he stopped breathing. J.R. was one of the lucky ones. Nursing staff and fellow anesthetists came quickly to the scene and he was resuscitated. Both medications in this particular circumstance are the color of water. Both are given intravenously. Each one can be easily confused with any number of anesthetic agents. And each one alone can be deadly. But how can a physician in this position of authority and responsibility, in the presence of and watched by fellow staff members, obtain the drugs (narcotics, in the case of J.R.) without his co-workers knowing? Is there not a system, an accounting of drugs used? 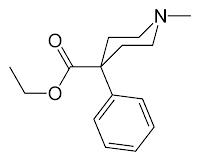 Is there not a way of measuring how much narcotic was used for the patient, when it was given and how much of the open ampoule that the drug was packaged in was left over? The answer is 'Yes'. But, as with most systems, there are always ways to 'outsmart' it.